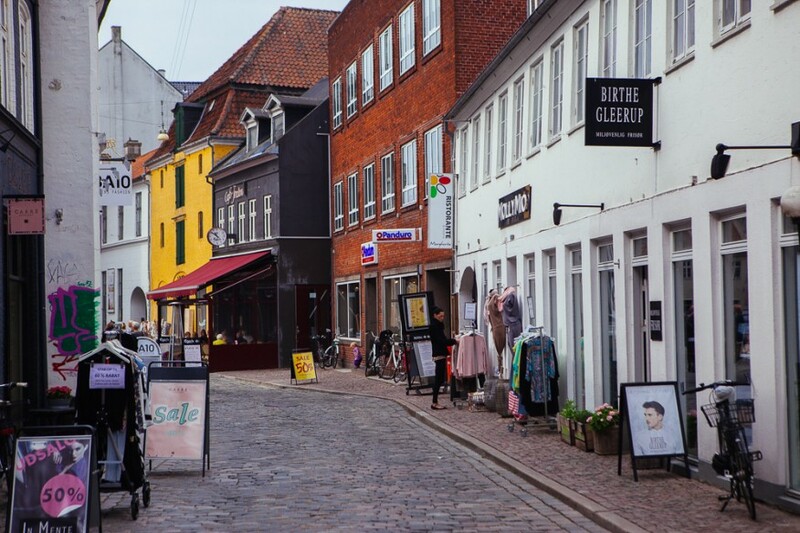 Denmark’s second city, Aarhus is often overlooked in favour of Copenhagen, but the vibrant Danish city is one that deserves attention and makes for a wonderful city break. 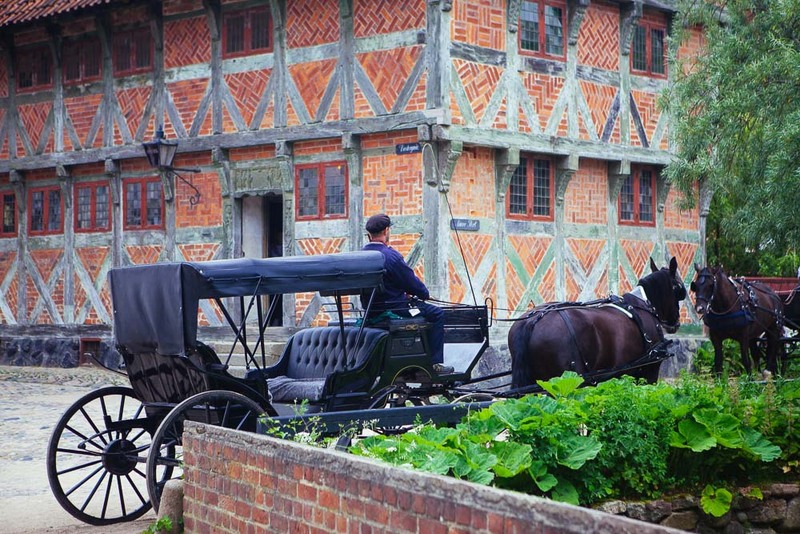 It’s filled with culture, interesting shops, pretty architecture, and some truly fabulous food. 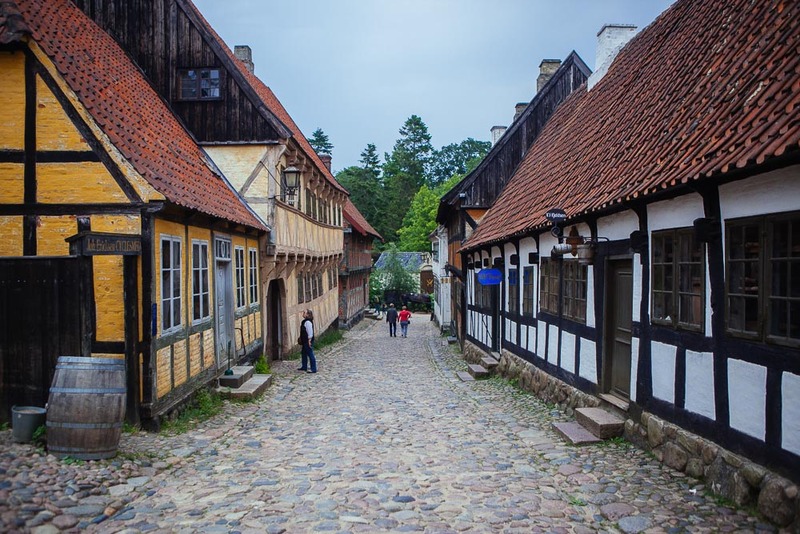 This post is a run-down of the best things to do in Aarhus, Denmark, including museums, restaurants, hotels and shops. Get the perfect photo at the My Rainbow Panorama installation at ARoS Museum of Modern Art. Try some local specialities and food from around the world at the Aarhus street food market. 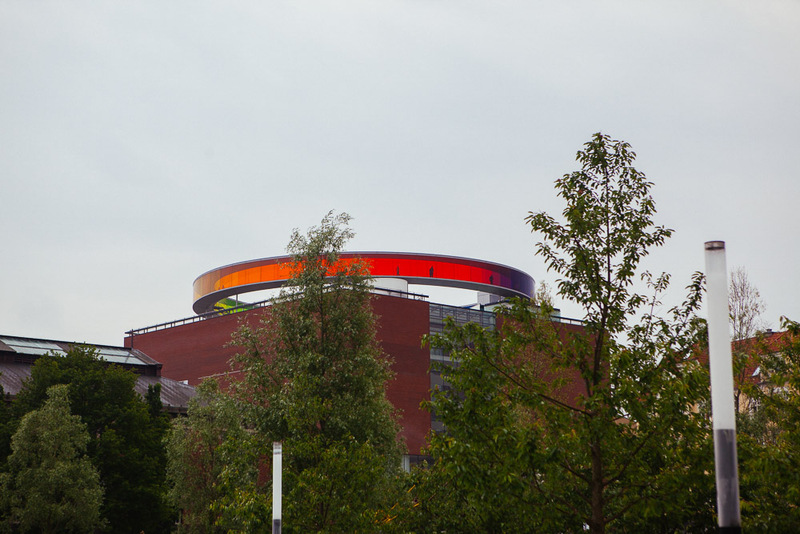 Don’t miss the ARoS museum of modern art, and specifically the Your rainbow panorama and Out of the Darkness exhibitions. All together there are nine different spaces, featuring Danish works from the Golden Age to the present day. 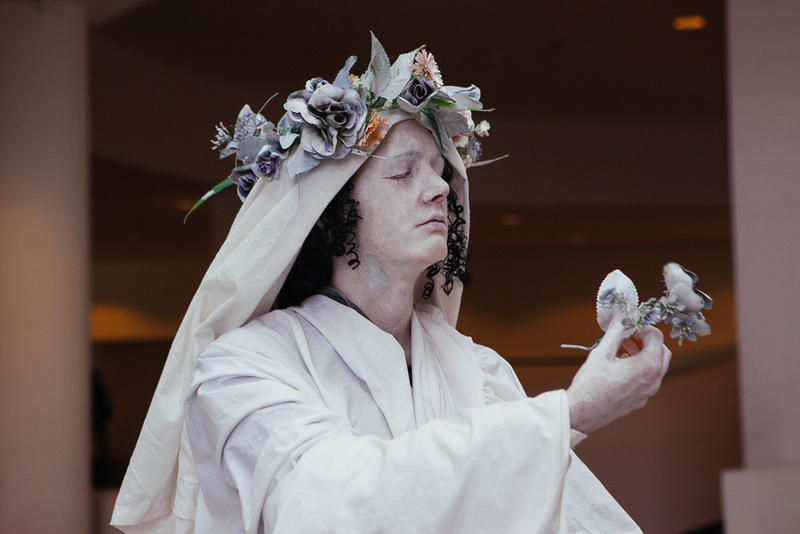 The temporary exhibitions focus on international artworks, including film, sculpture, architecture and more. 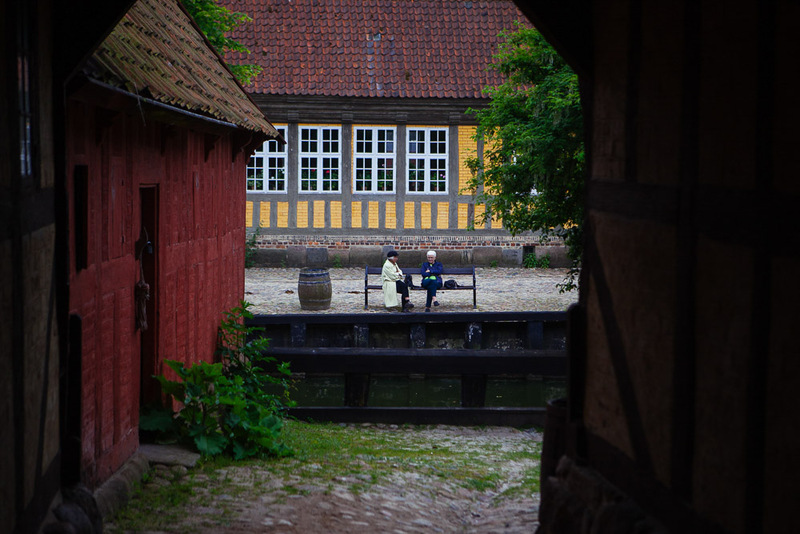 This is our number one pick of what to do in Aarhus. 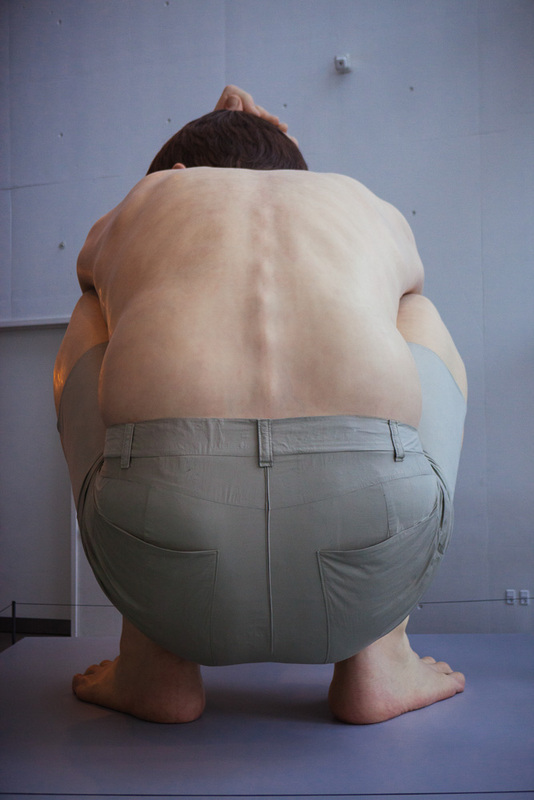 The newly opened Moesgaard Museum (MOMU) is a fantastic state-of-the-art anthropology museum, which feature world-class temporary exhibitions as well as an impressive permanent collection. One of the highlights is coming to face-to-face with a series of hominins, an example of early human beings. The sleek architecture of the museum building makes it worth a visit in itself. The Latin Quarter is a charming, cobblestoned part of the city with plenty of cosy cafes, restaurants and artisan shops. 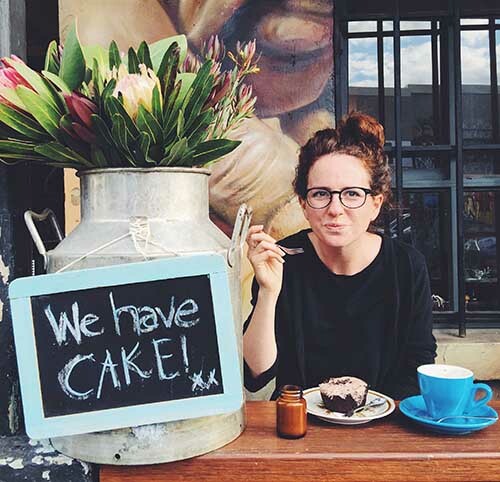 It’s the ideal place to take a wander, stop for coffee and a pastry, and soak up local life. 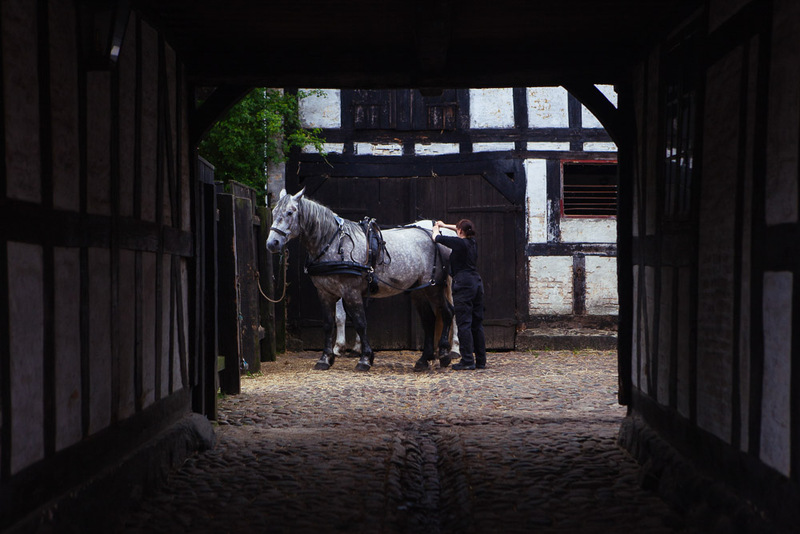 If you’re looking for the perfect Instagram shot, Mollestein is a cute little street with lots of picturesque houses, perfect for taking photos. 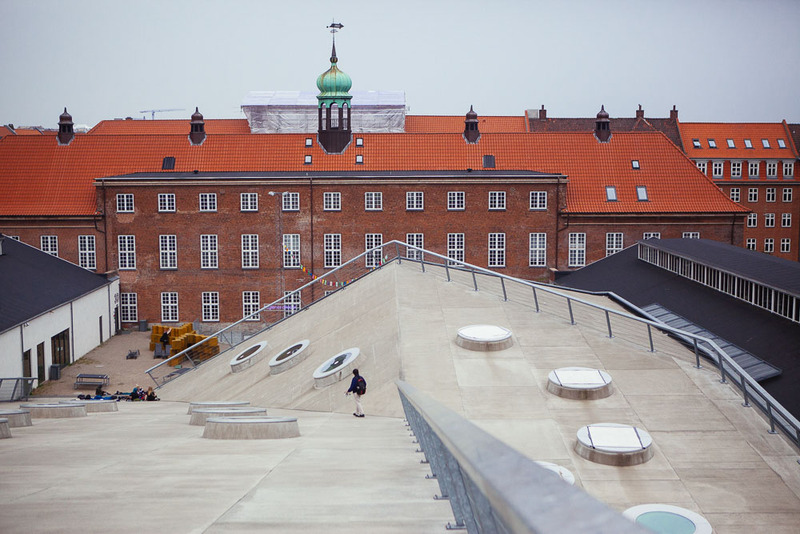 Aarhus Ø is a brand new ‘area of the city that has arisen out of the expansion of the waterfront, providing a contrast to the old Latin Quarter. It’s home to the Strandbaren beach bar, which is popular in the summer months. Godsbanen is a creative hub for the arts with open workshops, studios, project rooms, theatre stages, auditoriums and dance halls. 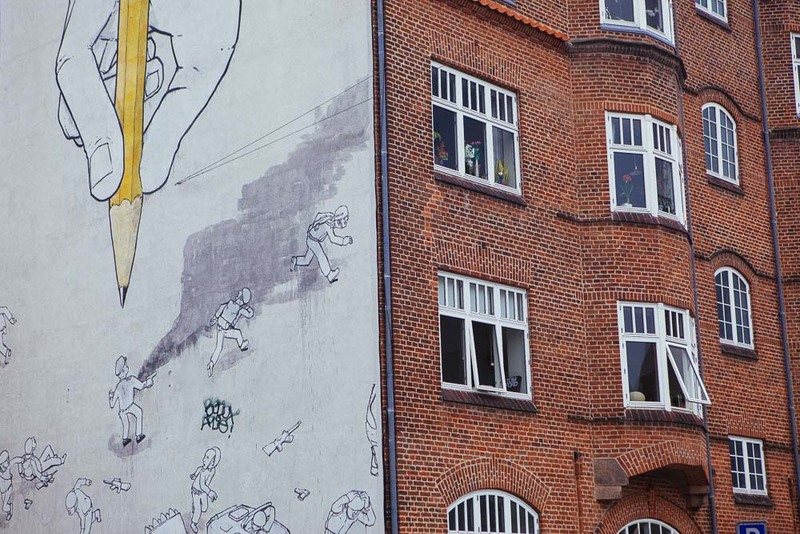 It’s an interesting place to visit and take a peek into Aarhus’s creative cultural scene. 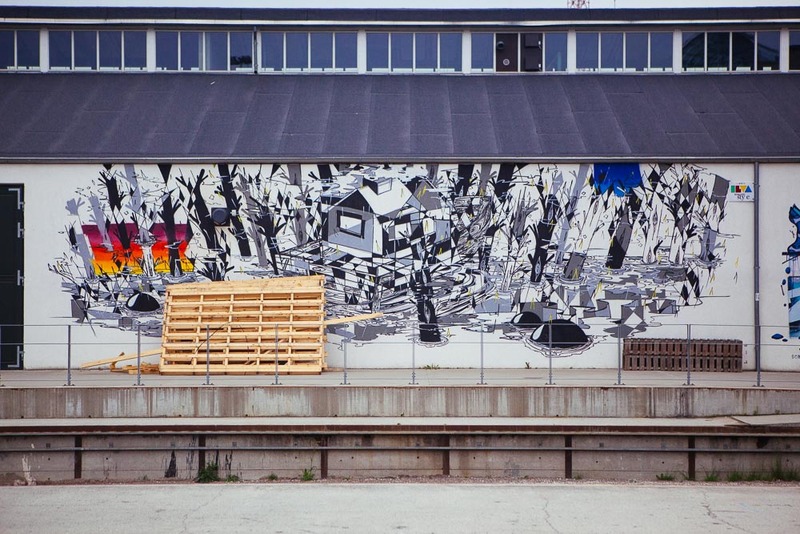 It’s housed in what was once one of Denmark’s largest train freight yards. 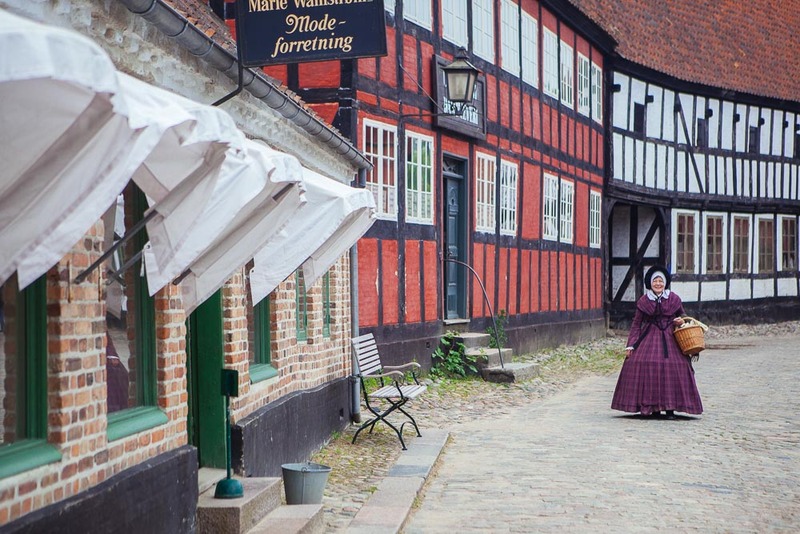 Den Gamle By old town is a living museum where you can experience life in Denmark in the 1700s, 1800s and 1900s. It’s really well done and we particularly loved the 1970s building, which captures a time when Danes were starting to live in communes and women were becoming more independent. 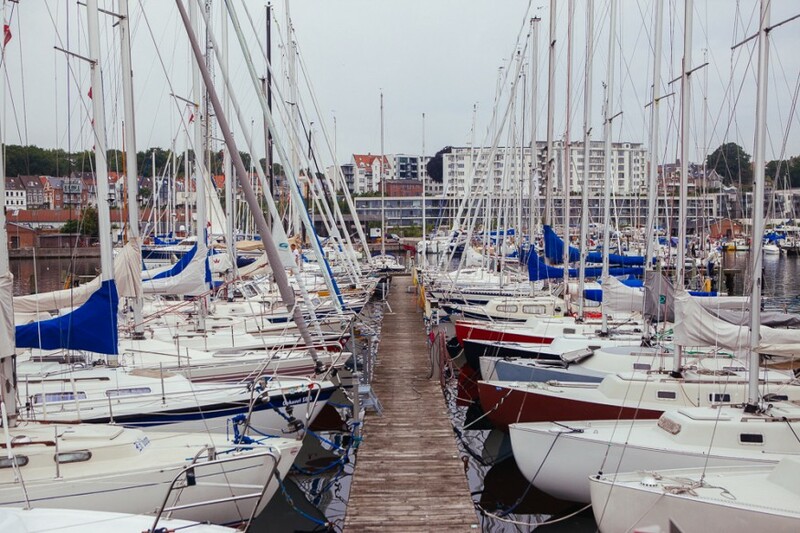 Take a trip around the Aarhus Harbour with the Aarhus SeaRangers. 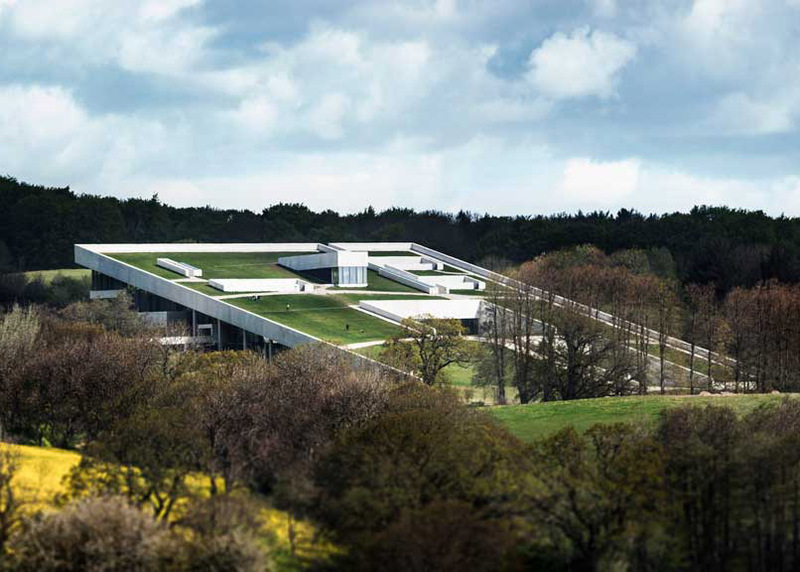 They offer a range of different guided tours, including ‘Aarhus from the seaside’, which tells the story of the vikings of Aros and the new Aarhus island. If you’re lucky, you might spot some marine life, including seals and porpoises. Another option is a trip to Tunø Island where you also get to explore and have dinner on the island. Located in East Jutland, the Mols Bjerge National Park is a beautiful place to visit as day trips from Aarhus. 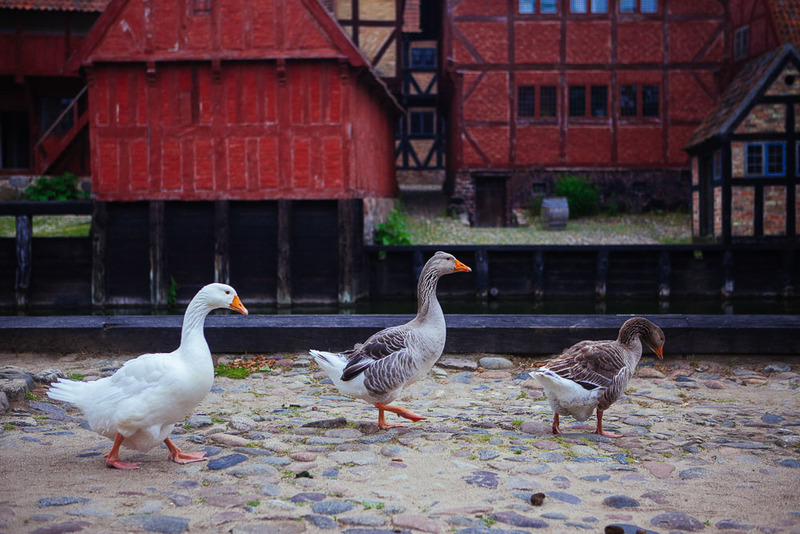 Head 25 minutes out of the city to Djursland where you’ll find 250km of coastline where you can hike, or visit the amusement park, zoo or glass museum. Samso. Another day trip option is Samsø island where you’ll find beautiful nature, family-friendly beaches, and the perfect place to relax. 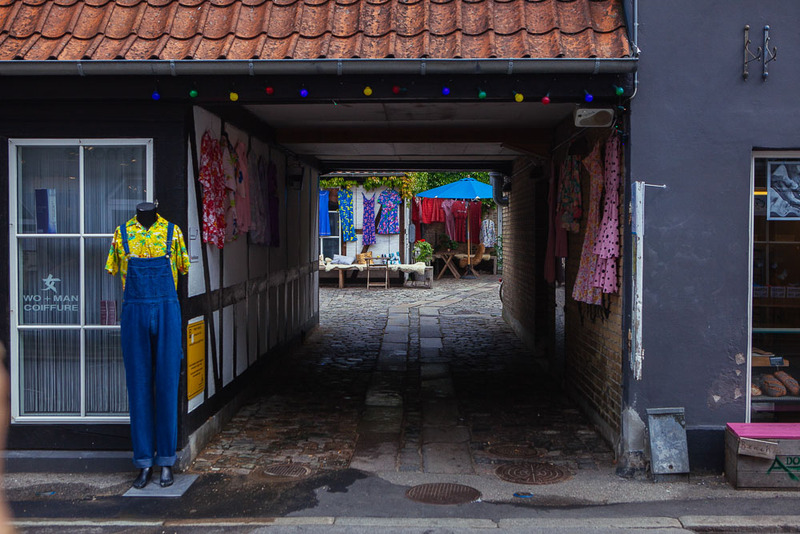 Aarhus is one of the best shopping cities in Scandinavia and is particularly good for independent boutiques and vintage stores. 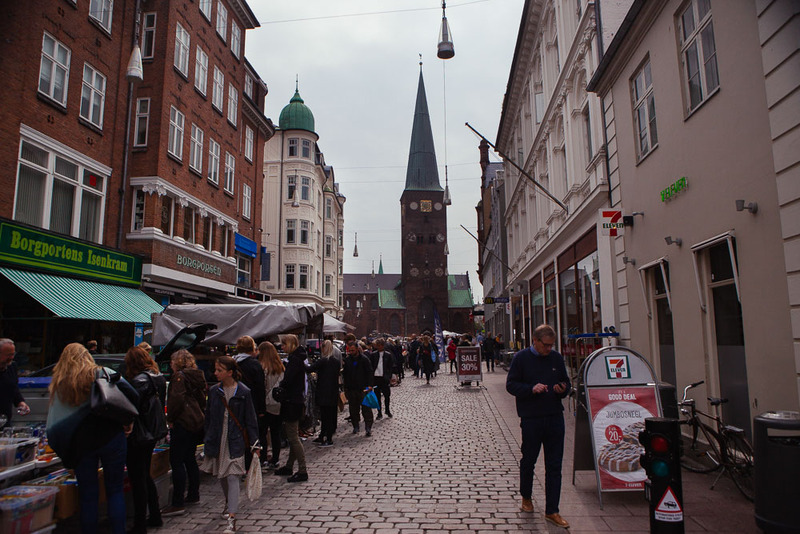 The best place to go first is Strøget, a pedestrian street filled with shops of every type. Tivoli Friheden is an amusement park in the city centre, including the Sky Tower freefall ride, which combine bungee jumping and sky diving. It’s not for the feint of heart! 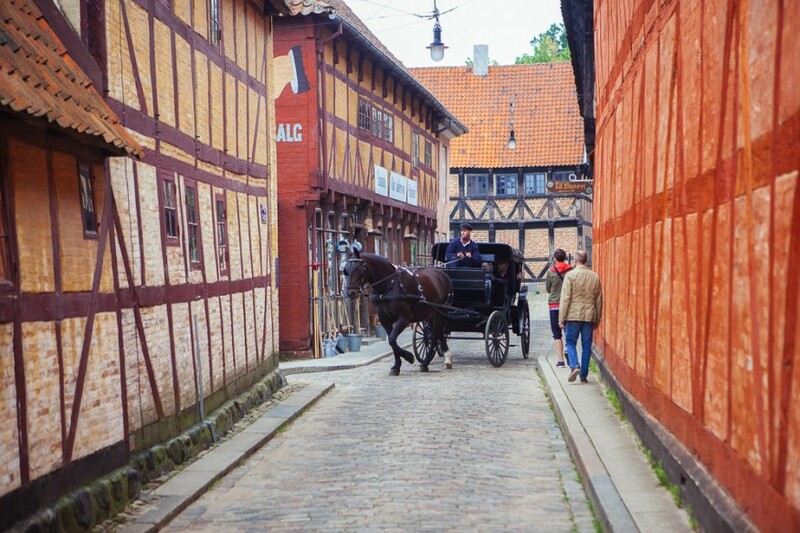 Do like the Danes and hop on a bike to get around the city. 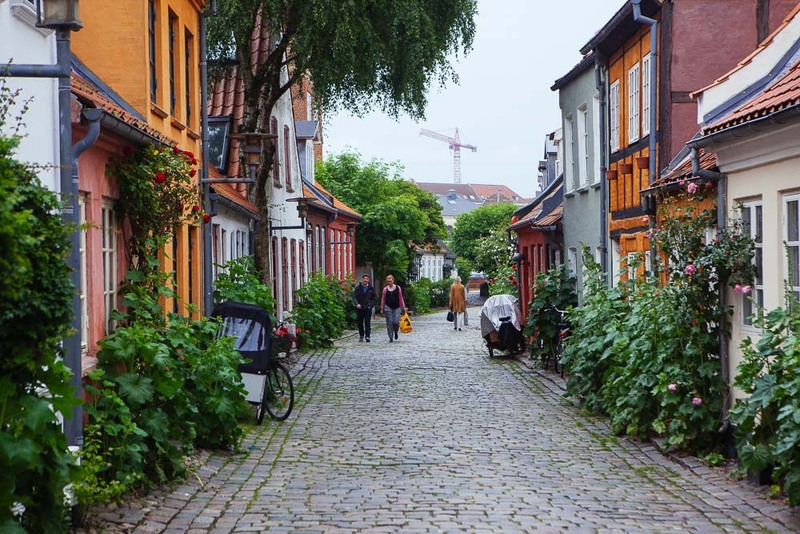 Aarhus is a bike-friendly city, and you can hire one or book a bike tour at Cycling Aarhus. Botanical gardens are always one of my favourite attractions and Aarhus has a beautiful one with four different climate zones, featuring plants from all over the world. Find out more here. Hærværk restauarnt is highly recommended. It was awarded a Bib Gourmand by the Michelin guide, and we enjoyed a fantastic meal there. They focus on unusual ingredients and catered well for vegetarians. Another restaurant we highly recommend is Langhoff and Juul, which focuses on organic food in a cosy setting filled with antiques and Danish design. It does hygge very well. And also pay a visit to theAarhus Central Food Market and Aarhus Street Food Market, which are open all year round. We stayed at a very stylish design hotel called Comwell Hotel Aarhus. The corner rooms have fantastic views, and there’s also a great gin bar. Rooms start at $125. Find the best deals and book now. Hotel Oasia is charming hotel in the heart of the city, close to the train station and City Hall. Rooms start at $120. Find the best deals and book now. Marselis Hotel-Aarhus is situated close to the bay of Aarhus with views to the beach, city and forests. 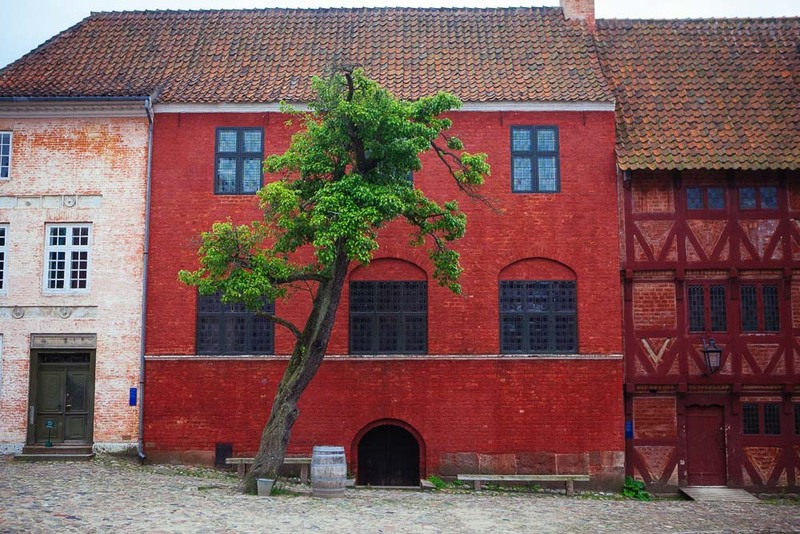 It’s next to the Moesgaard Museum. Rooms start at $110. Find the best deals and book now. 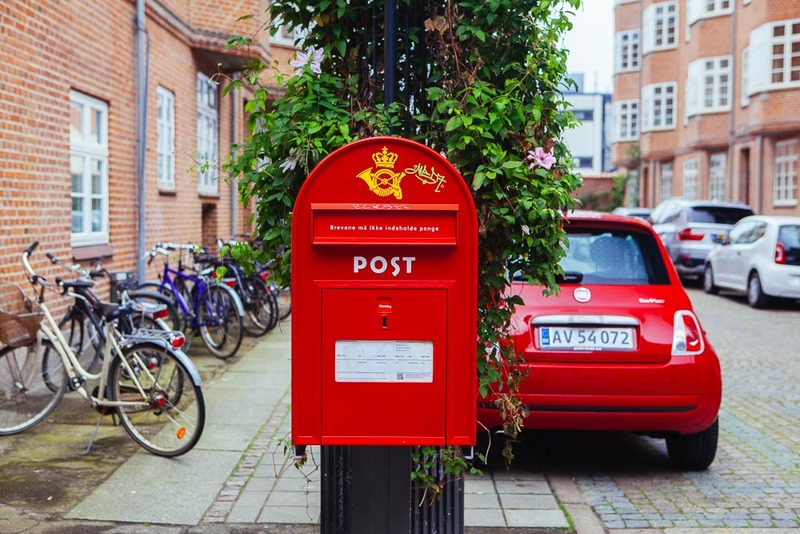 For a cool option in the city, try Scandic Aarhus City, which is just minutes from many of the best attractions including the picturesque Latin Quarter. Rooms start at . Find the best deals and book now. To be close in ARos, stay at Radisson Blu Scandinavian Hotel, a high-end hotel close to the city’s main attractions. Rooms start at $129. Find the best deals and book now. 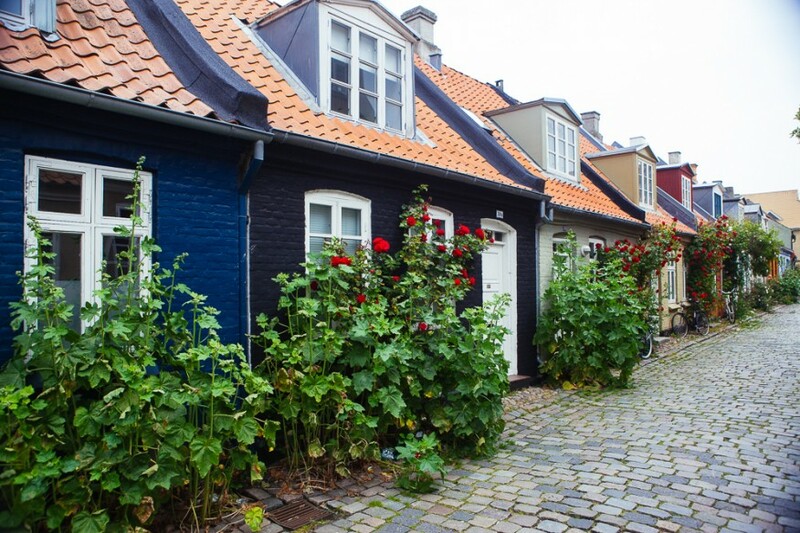 Aarhus has some beautiful AirBnB properties, showcasing gorgeous Danish design. Use this link to get £20 off your first booking. 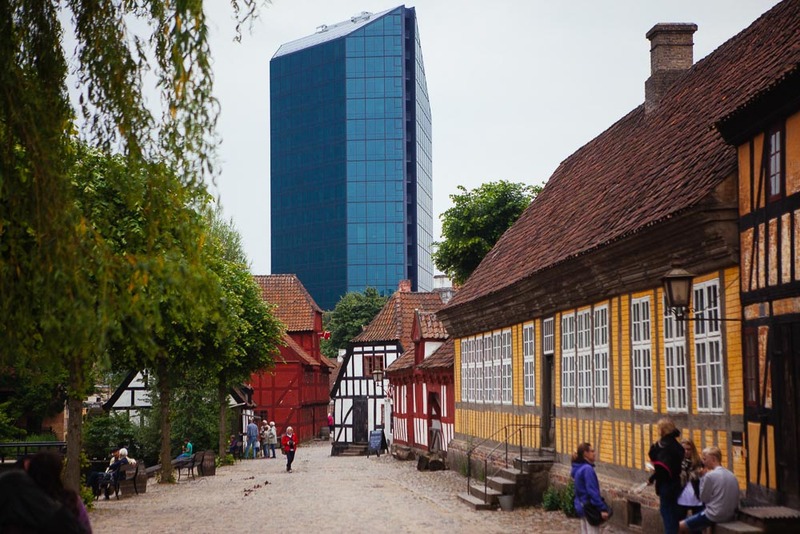 Aarhus is just 1 hour and 40 minutes from London. Ryanair do cheap flights from Stansted Airport. 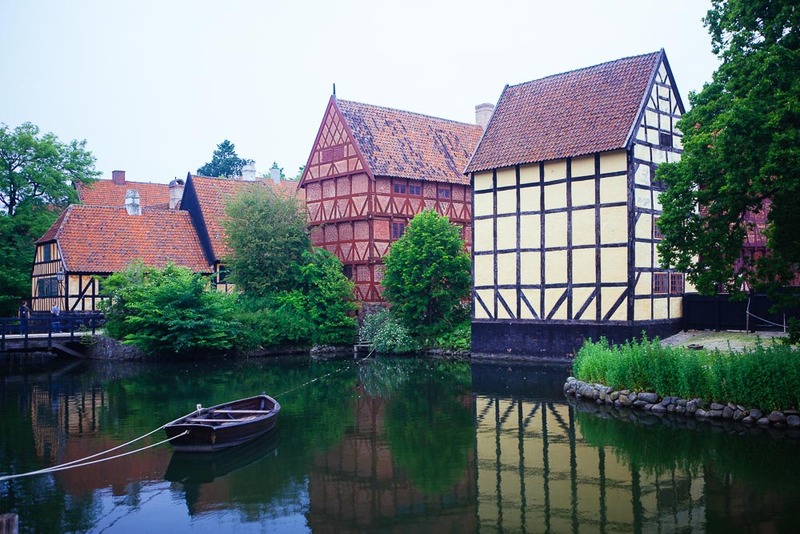 You could also combine your trip to Aarhus with a visit to Copenhagen, which is 3.5 hours driving, or 2 hours 50 mins by train. We visited Copenhagen in January and loved it so much, we can’t wait to go back. We spent our time there in search of special places to stay, eat and drink and we’ve written a guide about all the best and hygge things to do in Copenhagen, as well as a reviews of a Copenhagen boutique hotel and a trendy hostel. Copenhagen is a very photogenic city so we’ve also posted a photo essay of our best Copenhagen instagrams. Let us know if you visit. We’d love to know how you like it. Don’t forget your travel insurance! We recommend World Nomads or True Travellerwho both offer reliable, comprehensive cover, including medical, evacuation, baggage and a range of adventure sports and activities. You can buy both True Traveller and World Nomads insurance even when you’ve left home, which is unusual for travel insurance companies. 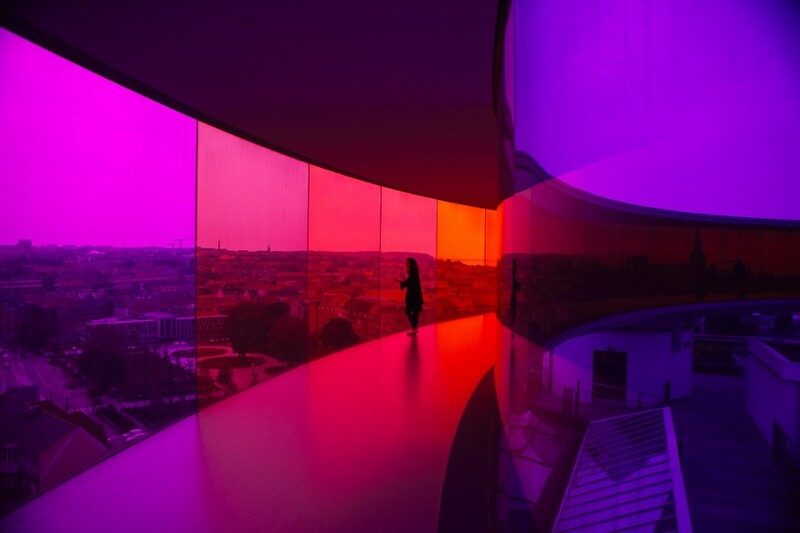 We also have posts that are specifically dedicated to the incredible Your Rainbow Panorama by Olafur Eliasson at ARoS museum of modern art, and the Sculpture by the Sea exhibition on Aarhus’s seafront. It’s a great city to visit for its own merits, but would also be good to combine with a trip to Copenhagen. 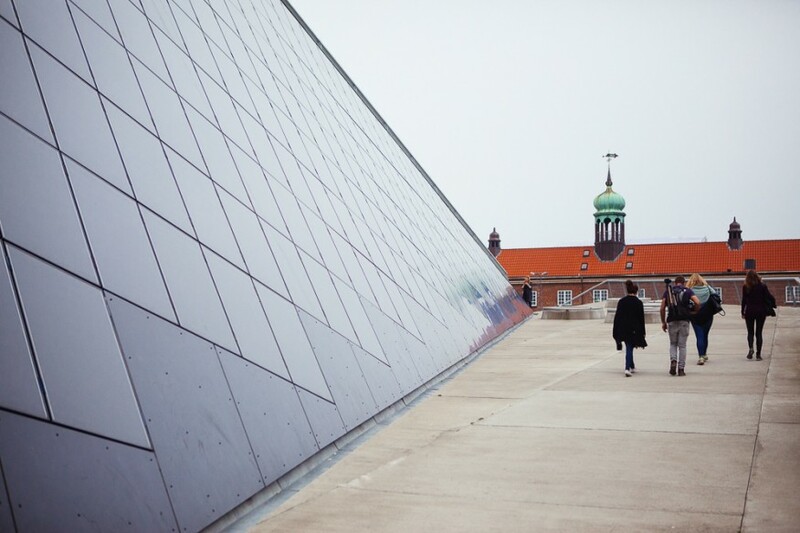 We went to Aarhus as guests of Visit Denmark, but as always all opinions are our own. Your pictures are so much fun! I want to crawl inside them and live in this colorful town! It is isn’t it? Makes me realise how many wonderful places there must be, just waiting to be discovered!